On the left, a box of 14 generic allergy relief tablets, each containing 10mg Cetirizine HCl and Lactose – costing £1. 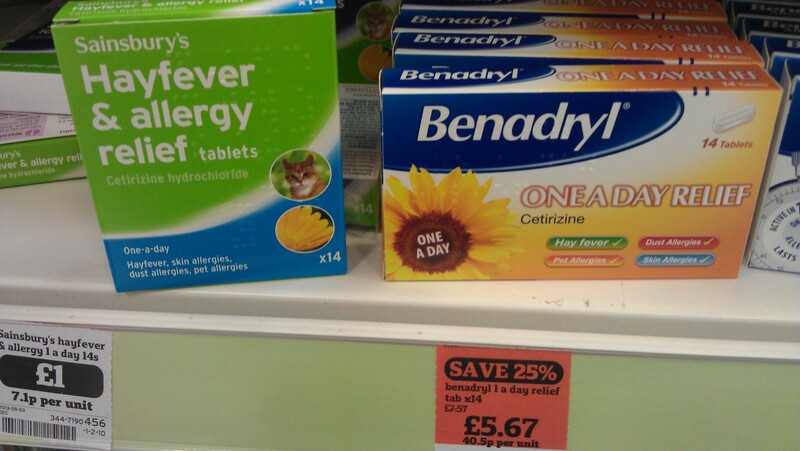 On the right, a box of 14 branded allergy relief tablets, each containing 10mg Cetirizine HCl and Lactose – costing £5.67. In a sale. Down from £7.57. The active ingredients are identical. The evidence for the efficacy of the active ingredients is identical. So how can companies justify charging 7.5 times more? I understand and acknowledge that effective marketing and other psychological factors might lead to a more effective placebo component of any clinical effect  – but a 7.5 fold increase in effectiveness? If we assume that the sellers make some sort of profit on the generic, then someone must be making a huge profit on the branded anti-allergy meds. Which seems a little immoral. If you can offer people relief for 7.1p per day, why charge as much as 54p per day? Whether or not this pricing is down to the pharmaceutical industry I cannot be sure – but big pharma don’t have the greatest public image at the moment – and examples like this sat on the shelf of your local supermarket perhaps serve as another example of why. 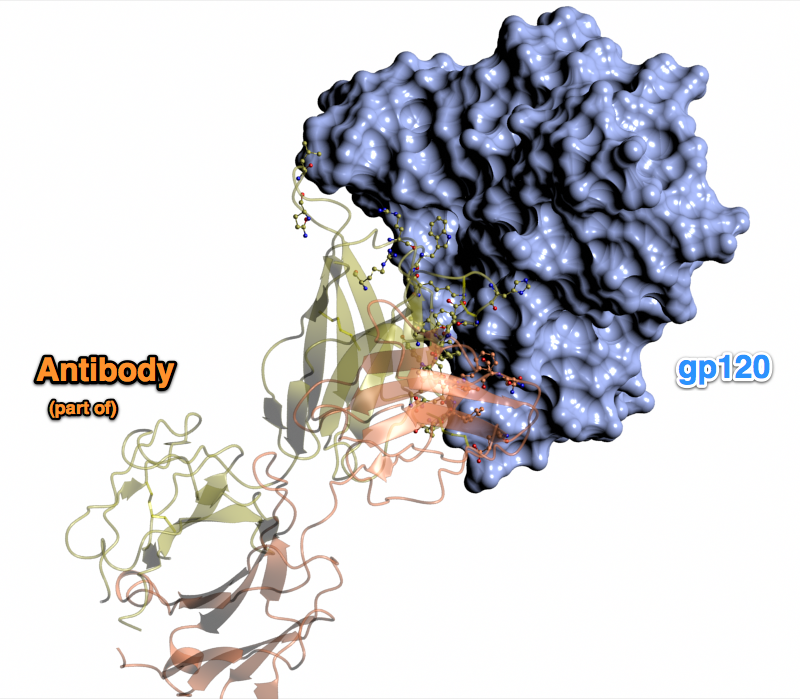 The first in a (hopefully) weekly series of reviews of interesting structures in latest PDB release**. 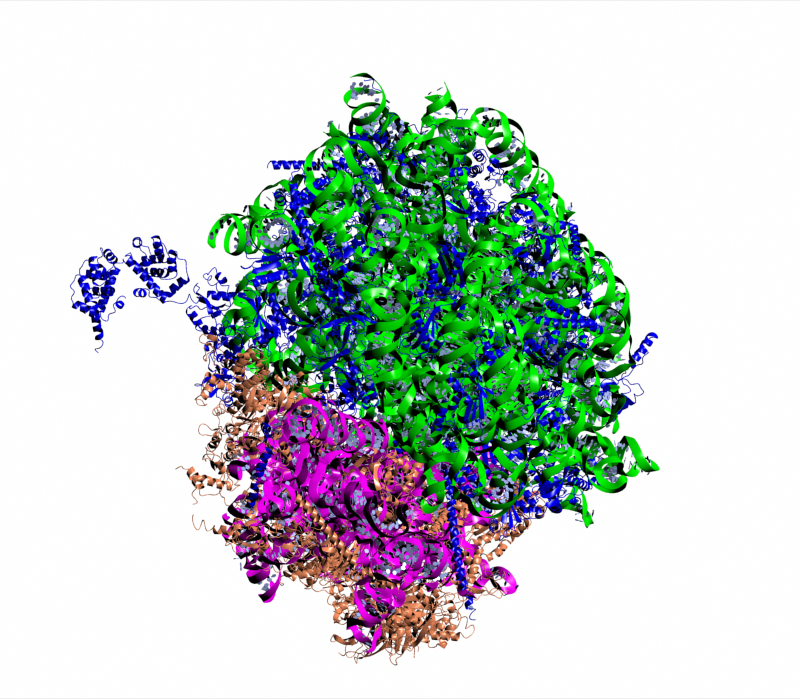 High-resolution* Cryo-EM models of Human and Drosophilia Ribosomes! Proteins are the major molecular players in life as we know it – they are the chemists, the engineers, the messengers and the defenders of life. They make new chemical compounds that we need, they break old compounds down so that we might re-use them – they transmit messages between different cells and tissues and help identify invading pathogens. In short – proteins do pretty much everything, and as such are the subject of intense study and scrutiny. … and so complex as to defy creation of a clear and crisp picture. The Paper concerning these is due to be published in Nature, but is not available at the time of writing (EDIT – Now it is – here (£)). Presumably, along with the methods employed in what must be a massive modelling task, there will be some discussion of the differences between these two eukaryotic ribosomes, and the prokaryotic ribosome structures that were the subject of the 2009 Nobel Prize for Chemistry. Other highlights in this weeks crop of 287 PDB releases include yet more BACE-inhibitor complexes (potential lead compounds for Altzheimer‘s treatments) and CDK2 and CDK8 -inhibitor complexes, which may be lead to novel anti-cancer therapies. *ok – 5Å might not be great for crystallography, but for our Cryo-EM-based friends, this is pushing the limits and is clearly the result of a great deal of hard work and a massive amount of particle picking. ** The PDB is the “Protein Data Bank” – all structures of proteins/DNA and related molecules are deposited into the PDB and then made available to everyone (for free) prior to or at the time of publication of the paper that describes the work pertaining to the structure. The PDB issues new releases every Wednesday morning (UK time). You are currently browsing the Anomalous Distraction blog archives for May, 2013.